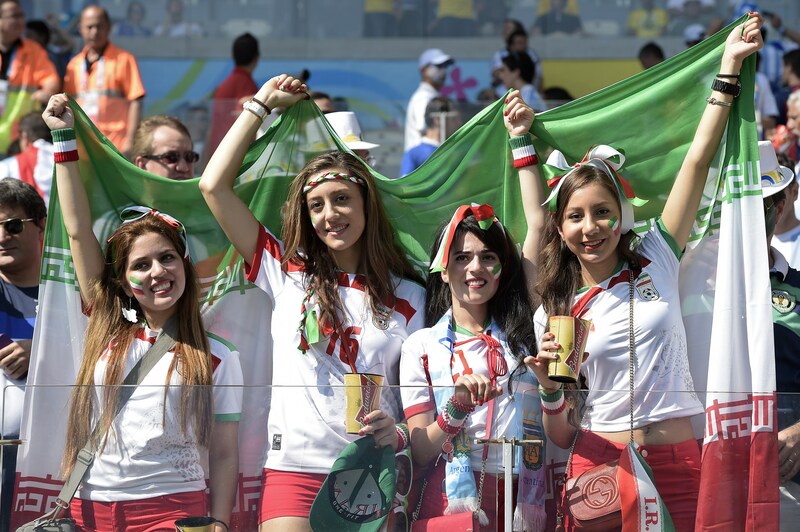 As if timed to coincide with the announcement of a breakthrough in nuclear negotiations, Iran will allow women to attend stadium sporting events as officials agree to relax the ban on female presence at sports games across the country. Although there is no set date to implement the restriction ease, Iranian Deputy Sports Minister for Culture, Education and Research Abdolhamid Ahmadi told PressTV on Saturday that it would come sometime during the Iranian calendar year, which began on March 21. A Ministry of Youth Affairs and Sports official reportedly told the state-run media, Islamic Republic News Agency, that the loosening of the ban extended to most sporting events for women and families, except those considered “masculine," such as wrestling or swimming where male athletes wear uniforms or suits that expose most of their bodies. Stadiums must become family-oriented, and the atmosphere there must be softened, [although women are not interested in some sports,] nor is their attendance possible, because these sports are for men. Although this proposal is likely to be enforced with some limitations in the beginning, fortunately the issue of women demanding to be allowed in stadiums has gained much public support in the country thanks to the efforts of women’s rights activists in the past 10 years. The new government has supported the ban to be lifted but we want to make sure there will be a guarantee women will be allowed to attend all sporting events in future. If and when implemented, the move will mark a victory for President Hassan Rouhani, whose efforts to liberalize Iran and grant its people more personal freedoms has contributed to his image as a moderate leader who is en route to a historic nuclear deal with world powers following months of harrowing negotiations. Iranian women have been banned from attending men's sporting events since hardline religious clerics ascended to power during the Islamic Revolution in 1979. Last year's World Cup, however, saw groups of women and girls protest the ban that extended to cinemas screening the international soccer competition. FIFA President Sepp Blatter last month went so far as to call on Iran to end its ban, which seems as though is — finally — about to happen.